Ashley Little, a master of fine arts student with UBC’s Faculty of Creative and Critical Studies, has been nominated for two BC Book Prizes – for two of her novels. Little is nominated for the Ethel Wilson Fiction Prize for her most recent book, Anatomy of a Girl Gang. A sharp and gritty novel told in multiple voices, Anatomy of a Girl Gang is the powerful story of a gang of teenage girls in Vancouver called the Black Roses. She is also nominated for the Sheila A. Egoff Children’s Literature Prize for The New Normal, ­a young adult novel about loss, centring on teenager Tamar Robinson, her younger sisters dead and her parents awash in a sea of grief. Little received a bachelor of fine arts degree in Creative Writing and Film Studies at the University of Victoria. 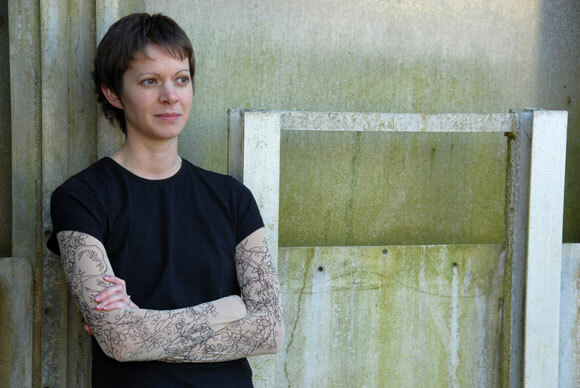 Her first novel, PRICK: Confessions of a Tattoo Artist (Tightrope Books, 2011) was optioned for film and shortlisted for a ReLit award. The New Normal, was published by Orca Book Publishers in 2013. Little’s third novel, Anatomy of a Girl Gang, was recently published by Arsenal Pulp Press. Little will serve as the 2014 Writer in Residence for Calgary’s Alexandra Writers Centre Society. Winners of will be announced May 3 at the 30th Annual Lieutenant Governor’s BC Book Prizes Gala in Vancouver.